If you need help understanding the property licensing rules in Islington you have come to the right place! We are experts in housing regulation and have produced this free guide to help you understand the council’s property licensing schemes. To help set the scene, the London Borough of Islington is in North London covering an area of 6 square miles. It is bordered by the boroughs of Camden to the west, Haringey to the north, Hackney to the east and the City of London to the south. According to the 2011 Census, about 27% of the housing stock was privately rented which is slightly higher than the London average of 25% (1 in 4). You do not need a licence if you rent your property to a single family as Islington Council do not operate a selective licensing scheme. However, if you rent out a flat in a converted building, you should check the additional licensing scheme below as some buildings containing flats do need to be licensed. If you rent out your property as a House in Multiple Occupation (HMO) the answer is a bit more complicated. Islington Council have an additional licensing scheme that started on 1 September 2015, plus the mandatory HMO licensing scheme that applies throughout England. The additional licensing scheme started on 1 September 2015 and runs for five years until 31 August 2020, unless the council chose to implement a replacement scheme. It applies to all HMOs in Caledonian Road and Holloway Road i.e. houses or flats occupied by three or more people who are not all members of the same household or family. This is a complex area of law and you may need further advice on whether your property is a 'section 257 HMO'. You can view a copy of the scheme designation in the ‘More Information’ box of the right hand side of this page. The council have said that late or incomplete applications that indicate poor property management practices will, at best, only secure a one-year licence and could result in prosecution. It is important that you act now if this scheme applies to you. Islington Council charges a standard HMO licence fee of £280 per letting (was £270 in 2017/18, £260 in 2015/16), so that would be £1,400 for a three storey shared house with five single person lettings. The fee for a ‘section 257 HMO’ under the additional licensing scheme is £685 (was £660 in 2017/18) per building. 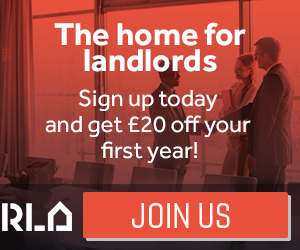 Accredited landlords can get a licence fee discount of £41 per letting, and a £104 discount for each section 257 HMO, which we think is a good idea. The fees are correct as of March 2019, but could be subject to change in the future. You can check the fees on the council’s website. The application process has changed. There was an online application system, but we understand it has been withdrawn as it was not working very well. So, it is back to the old fashioned approach and you will need to download an application form from the council’s website or ask them to send you a copy in the post. There are several different application forms depending on the type of HMO and whether it is a new application or a renewal, so make such you pick the right one. Yes, Islington Council’s HMO standards can be downloaded from the council’s website. Whilst these are the council’s guidelines for all licensed HMOs, the council also expect these standards to be complied with in all HMOs in order to promote good quality accommodation and fairer market conditions. They told us they will look to use other legal provisions to bring non-licensable HMOs up to this same standard, wherever possible. In February 2015, Islington Council had licensed 312 HMOs under the mandatory HMO licensing scheme, although a year later, that figure has risen to 360, an increase of 48. In June 2017, we found there were 283 properties licensed under the mandatory HMO licensing scheme and 207 properties licensed under the additional licensing scheme. In March 2019, we found there were 303 properties licensed under the mandatory HMO licensing scheme and 231 properties licensed under the additional licensing scheme. The council keeps a public register of all licensed properties which is regularly updated and can be viewed on the council’s website. It’s nice and simple to use. We like that! Islington Council told us that based on their 2008 housing stock survey, they estimated there could be about 758 properties that need licensing under the mandatory HMO licensing scheme. The council estimated that another 700 HMOs may require a licence on Caledonian Road and Holloway Road under their additional licensing scheme. Based on these figures, it seems there could still be hundreds of unlicensed HMOs in the borough. It you are one of those landlords, you need to act now to avoid a heavy financial penalty. Don’t put your livelihood and reputation at risk. Make sure you comply with the law.We can help you get your property licensed! (find out more). Islington Council told us they took nine separate housing prosecutions over the three years from April 2011 to March 2014, plus a further six prosecutions in 2014/15 and six prosecutions in 2015/16. They do seem to be stepping up their enforcement activity. Islington Council did not obtain any Rent Repayment Orders from the landlords of unlicensed HMOs over the five years from April 2011 to March 2016. Whilst we don’t have any figures for the NLA or RLA schemes, we have got information about the London Landlord Accreditation Scheme that is supported by all the London Boroughs. In January 2016, they told us there were 635 accredited landlords in Islington, which placed them in the top quartile of all London boroughs. By January 2018, that figure had increased to 921 and by January 2019 that figure had increased to 976, which is well above average when compared to all the London boroughs. To find out more about becoming accredited, you can visit the London Landlord Accreditation Scheme website here. On 12 March 2015, Islington Council Executive approved an additional licensing scheme that started on 1 September 2015. The scheme applies to all HMOs in Caledonian Road and Holloway Road – an estimated 700 properties. For more background information, you can read the Executive Report that implemented the new scheme. Islington Council had consulted on the proposed additional licensing scheme from 27 October 2014 to 9 January 2015. Before carrying out the consultation, Council Officers had surveyed over 600 properties on these two streets including over 200 HMOs. Almost 70% of HMOs inspected were found to have poor management and badly maintained communal areas. In March 2015, Islington Council told us they had no current plans to implement a selective licensing scheme. In February 2016, we checked with Islington Council and found that there is currently no HMO Article 4 Direction in force. Remember that this is only intended as general advice and no liability can be accepted for any reliance upon information provided. We would strongly encourage you to contact the Council’s Planning Department or seek independent legal advice before you start a new HMO development. You can find out more information on the council’s website. Mandatory HMO licensing scheme applies borough wide and an additional licensing scheme applies to part of the borough. There is no selective licensing scheme.